With such a small timescale to hand, a complete room transformation may be a little unrealistic but making a few key updates can change the entire dynamic of a room in an instant. 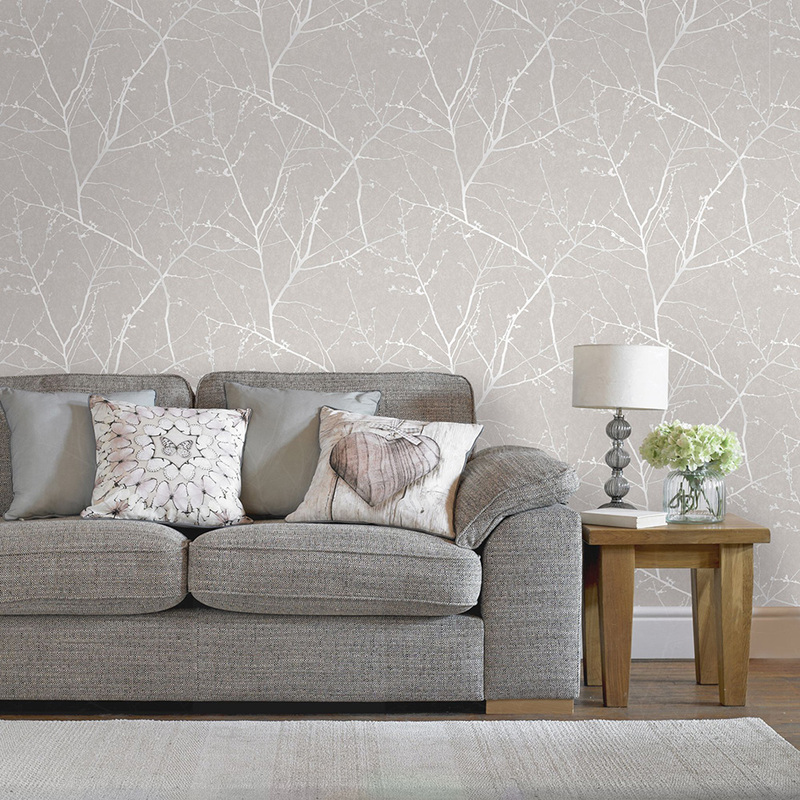 For a quick makeover, homeowners often gravitate towards a fresh coat of paint but thanks to our range of Paste the Wall Wallpaper, changing the look of a room is quick and easy, ideal when time is of the essence. This clever range of wallpaper is also incredibly easy to remove making it simple to update your room whenever you please. One of the quickest ways to change up your home décor is by incorporating a feature wall. 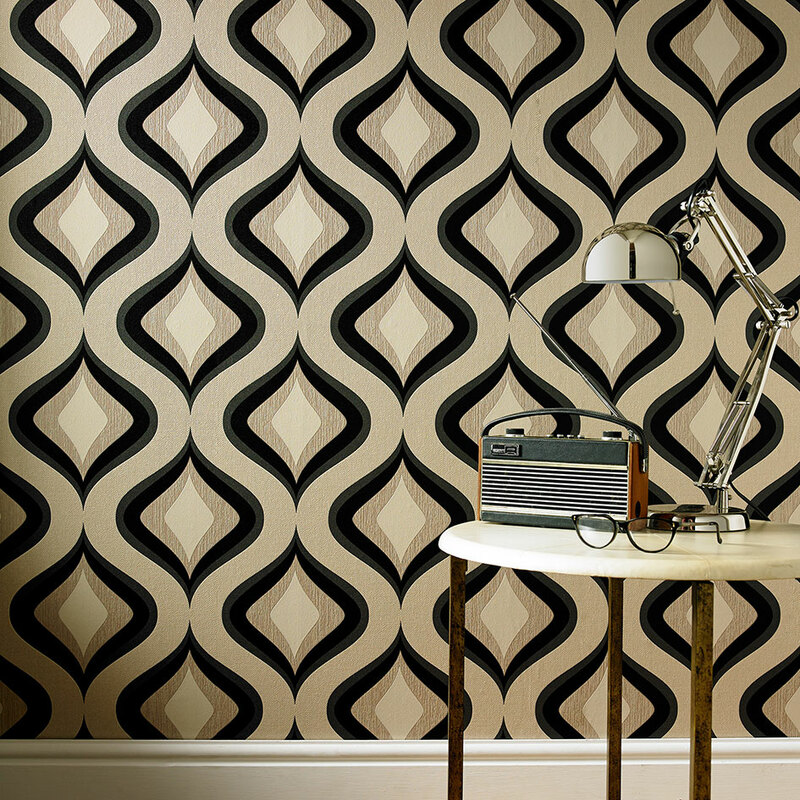 Feature walls are a great time saver but look just as striking as an all-over wallpapered room. Our Trippy Charcoal wallpaper is a fantastic option for a statement feature wall and will update a traditional room with a contemporary feel. When a quick style refresh is needed, neutral wallpapers like our Innocence Mushroom design can give a room that modern feel. Fancy a floral theme? Our Poppy red wallpaper is a dreamy option. If you want to get your creative juices flowing, why not create a cluster of accessories to breathe new life into an old coffee table or dresser? Use different colour themes and textures to update your room with the latest colour and décor trends without breaking the bank. A metallic tray is always a great place to start and from here you can populate it with objects that reflect your personal style. For an on-trend tribal theme use candles, vases and ornaments in brown, black and neutral tones. Whatever theme you wish to incorporate into your updated room design, we have a striking range of wall art and canvases to bring your vision to life. 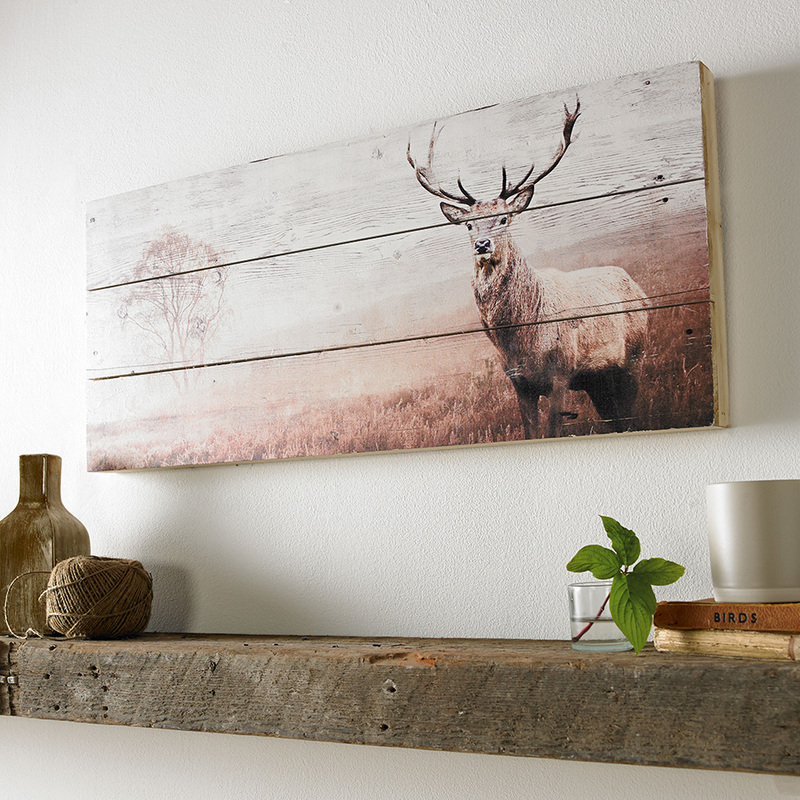 For a woodland theme look no further than our watercolour printed canvas not to mention our ever-so-popular stag print wall art. Updating your home needn’t be time consuming, follow our tips and transform your space in a weekend.